Ibn Taimiyyah, may Allāh have mercy on him, described a 29 day schedule for completing recitation of the Qur’ān closer to the way the Companions did that. · Completing what was intended [to be completed] from every surah. 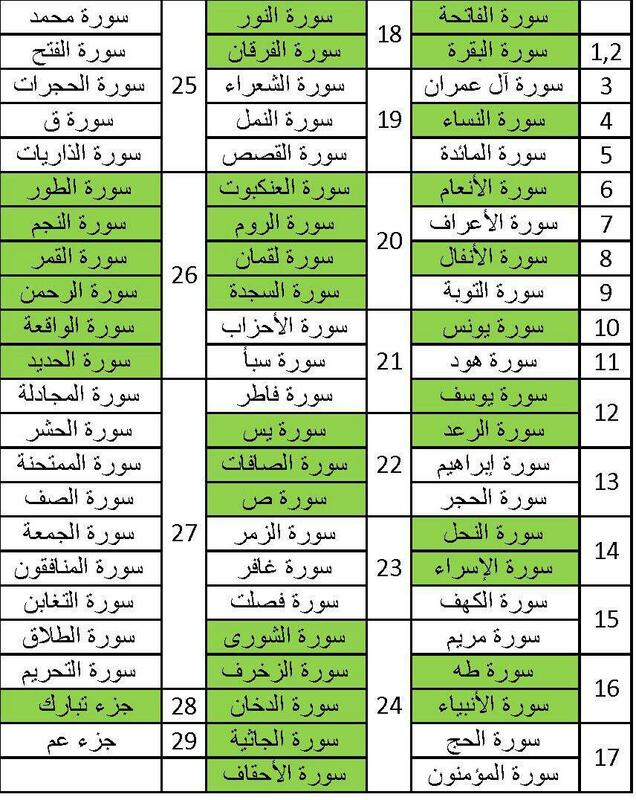 The chart in Arabic below [checked but not produced by me], shows Ibn Taimiyyah’s recommended schedule for a 29 day completion.